The town of Jackson, Wyoming often serves as the home base for travelers looking for adventure. Just outside the city limits, you’ll find world-class skiing at the Jackson Hole Mountain Resort and a variety of other snow sports and outdoor activities to do each winter. You also have Yellowstone, Grand Teton National Park, and plenty of exciting summer activities just a short drive away. Many people vacationing in the area choose to stay in the town of Jackson because it offers great dining, shopping, and nightlife. 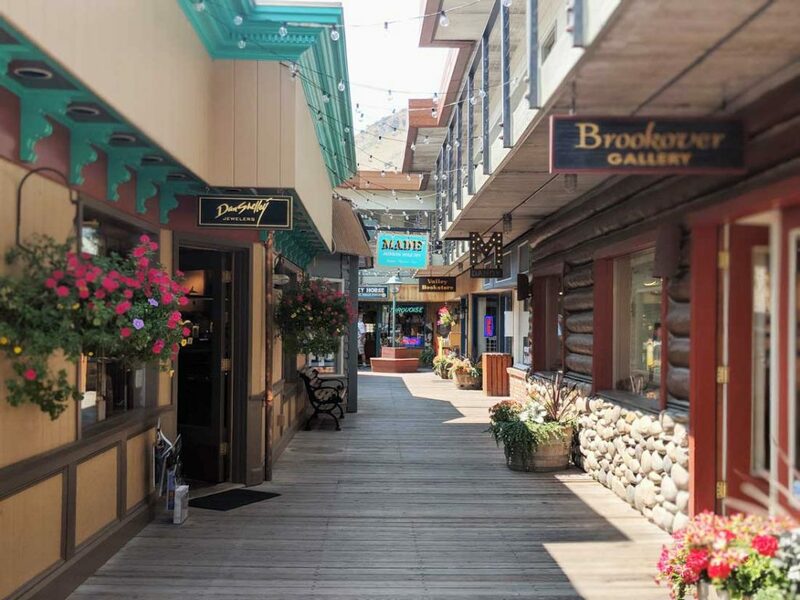 Downtown Jackson, Wyoming is worth spending a day, or at least an afternoon, exploring as there are a lot of great things to do and see. Jackson, Wyoming is a charming and enchanting small town. With its wooden sidewalks, saloons, and cowboy feel, it truly is a scene out of the Wild West. The town square park is a great place to hang out, relax and enjoy a sunny day. 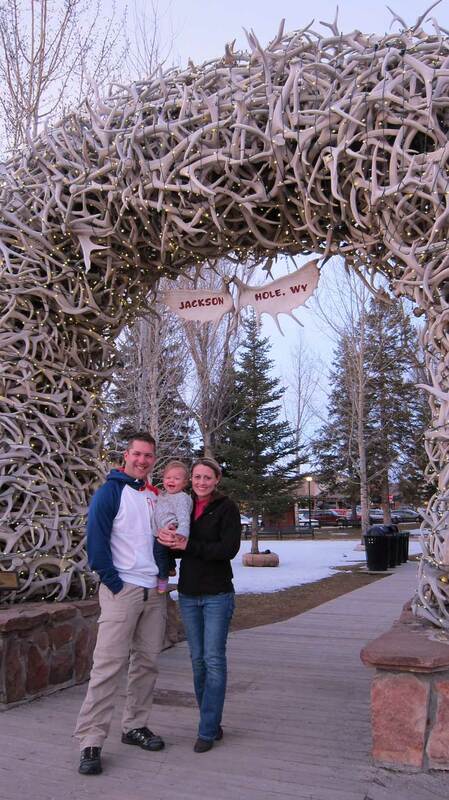 You’ll find plenty of people gathering in the park or posing for a quick family photo under the archways made entirely of elk antlers. In winter, the antler archways are wrapped in white lights, and the entire town looks like the setting for a Hallmark Christmas movie. I guess that’s why it’s considered one of the best Christmas destinations in the world! The wooden sidewalks throughout the town are all covered with awnings. So even when it is raining or snowing outside, visitors can walk store-to-store without inclement weather putting a damper on their day. It also adds to the western feel of the town. Like any resort town, Jackson is full of souvenir shops, unique boutiques, coffee and sweets shops, and plenty of eateries and restaurants. Because winter time can be brutal in Jackson, furs are a hot commodity . You will find several stores in downtown Jackson, Wyoming specializing in expensive fur apparel (sorry PETA). If fur isn’t your thing, you’ll find a variety of clothing and apparel stores that offer everything from t-shirts to ski gear. If you are looking for something that is truly one-of-a-kind, stop into MADE. The shop is filled with handmade items and crafts from artists across Wyoming and the USA. 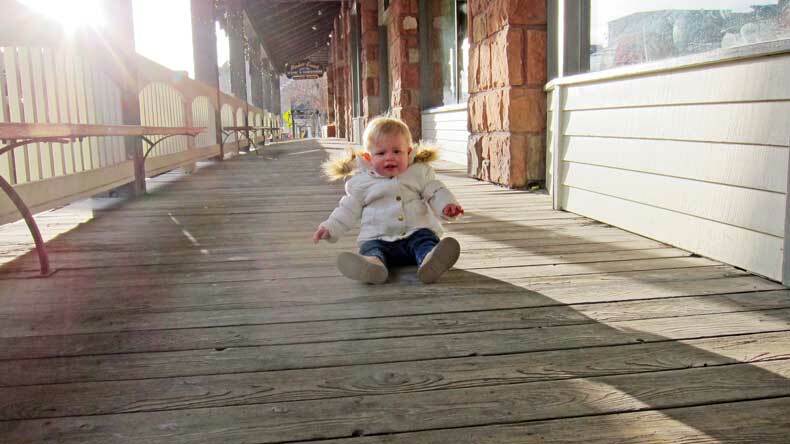 While shopping and dining are both big tourists draws in downtown Jackson, Wyoming, they aren’t the only activities to keep families entertained. Art galleries are popular in downtown Jackson, Wyoming. Many of the local artists sell and display their wildlife and nature photography in galleries throughout Jackson. One art gallery not to miss is Thomas Mangelsen. The renowned nature photographer is a favorite of ours. His photography truly captures the world’s beauty at its finest. Although he has galleries in several cities and towns across North America, his first and original gallery is in Jackson Hole. 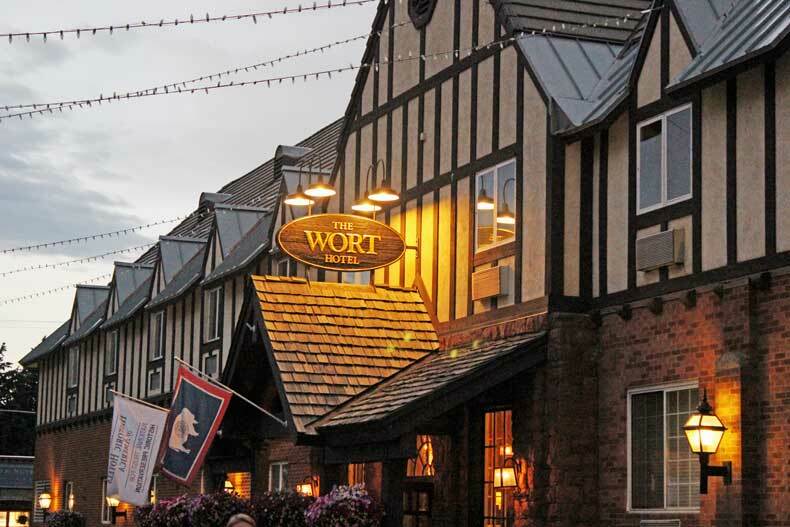 While exploring Jackson, check out the historic Wort Hotel, located in the heart of downtown. It’s the oldest hotel in Jackson. It almost burned down at one point, but has been restored to its original beauty. Inside The Wort, you will find the Silver Dollar Bar and Grill, which is a great place to enjoy a refreshing drink or a meal. 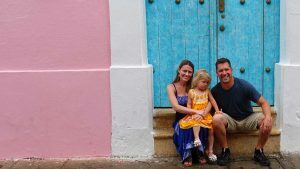 For families like us who are traveling with children the Jackson Hole Children’s Museum is a fun and interactive learning experience for kids. The museum offers a variety of hands-on exhibits for kids of all ages. Some of the exhibits are designed to teach kids about the environment and conservation while others help them learn about their own strength, coordination, and skills. Another great entertaining option is The Jackson Hole Playhouse, where you can watch fun, family-friendly theater performances on most nights of the week. 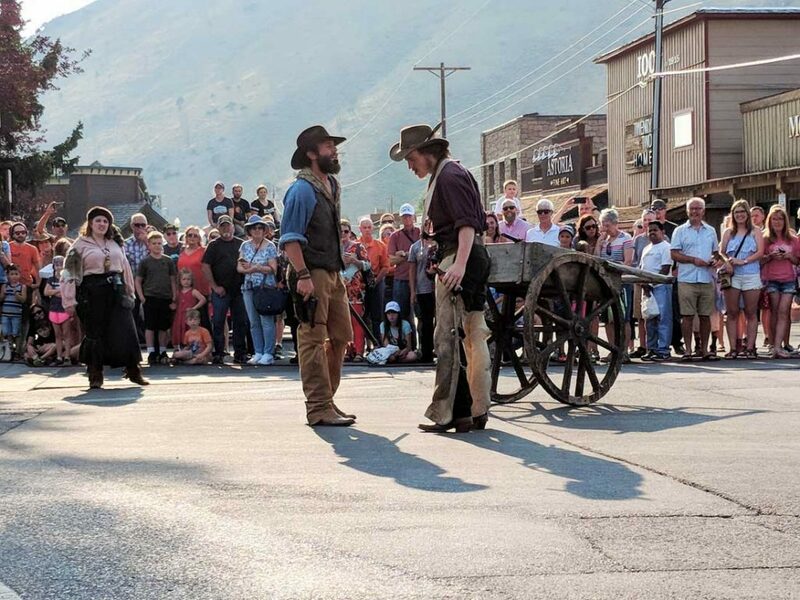 During the summer, volunteers from the Jackson Hole Playhouse also put on a shootout every Monday-Saturday at 6 p.m. in the streets near Town Square. The short theatrical performance is free and fun for the whole family, although the sound of the fake guns frightened our toddler. This Wild West tradition has been taking place since 1957, earning it the title of the longest running shootout in the United States. It’s a fun activity to do in Jackson, Wyoming before dinner. Crowds tend to gather fairly quickly, so I recommend getting there a little early to grab a front row seat to the shootout. 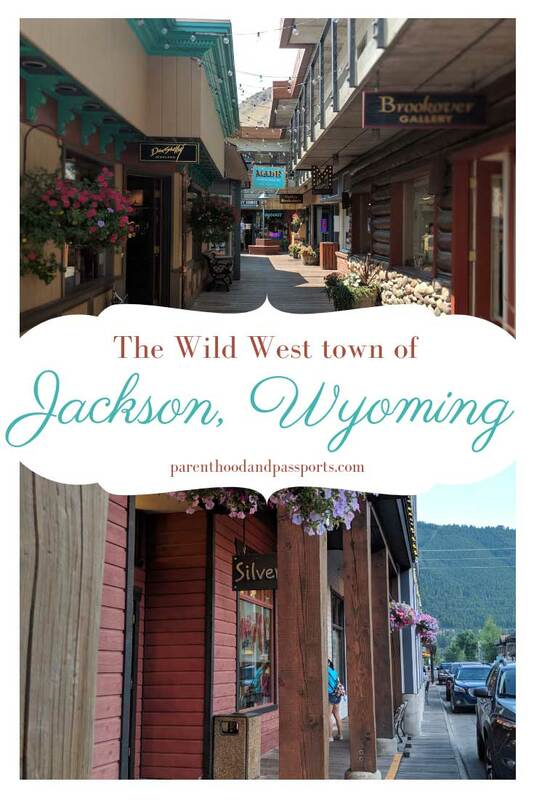 Adults and kids alike will enjoy spending an afternoon exploring the town of Jackson and finding all of the great things this Wild West community has to offer. 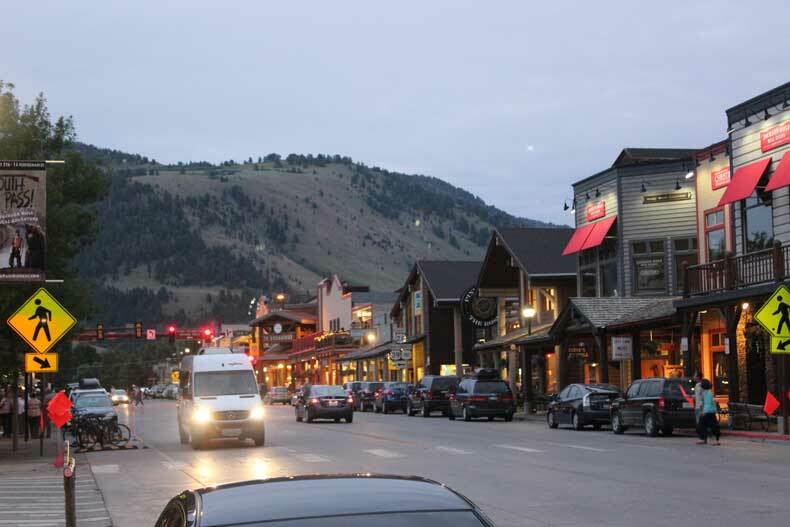 Have a question or comment about downtown Jackson, Wyoming? We’d love to hear from you. Leave your thoughts in the comments below.